Pulled from the sea with two bullets in his back, Jason Bourne (Matt Damon) discovers he has the skills of a very dangerous man and no memory of his violent past. Racing to unlock the secret of his own identity, he discovers the deadly truth: he's an elite government agent. But to the government, Jason Bourne isn't just their property, he's a malfunctioning $30-million weapon. Lethally trained, built to disappear, he's an agent on the run who must be eliminated. 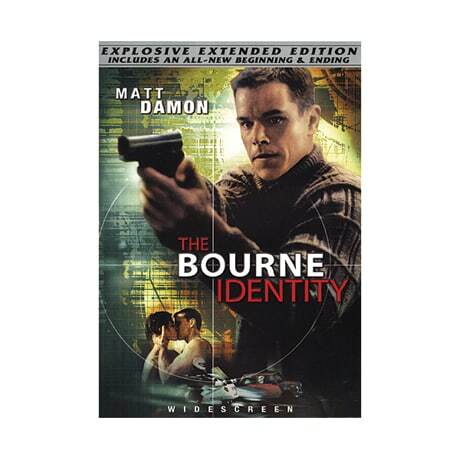 This edition of the 2002 action hit includes an interview with Damon and Franka Potente, deleted scenes, a psychologist's assessment of Bourne, a profile of Bourne's creator Robert Ludlum, and an alternate ending.